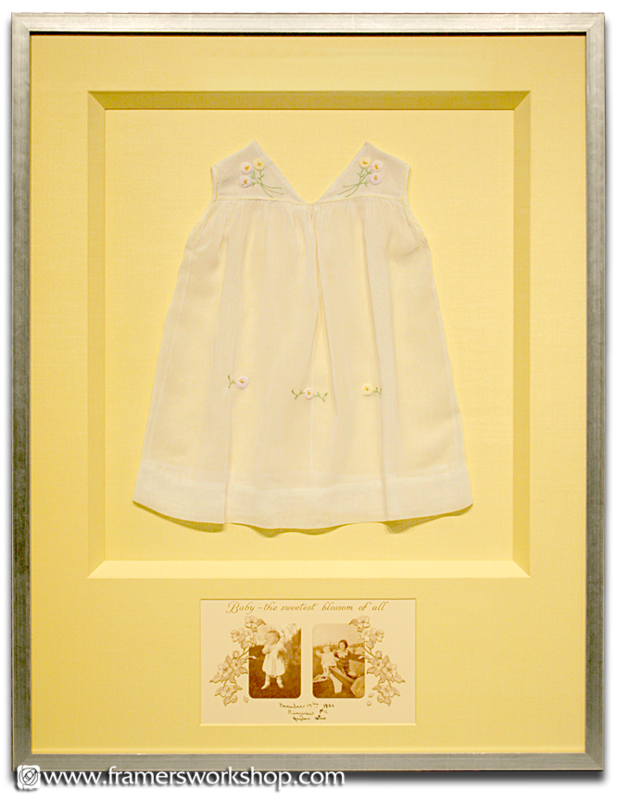 Antique Organdy Infant's Dress with embroidery details. We attached the dress by hand sewing it to a soft yellow cotton covered acid-free backing and gave it plenty of depth with a fabric covered wood liner. We surrounded the liner with a matching hand-wrapped fabric mat with an extra opening for a custom-made graphic collage of the dress being worn in 1930. We created the collage by scanning the original photos in an old scrapbook. 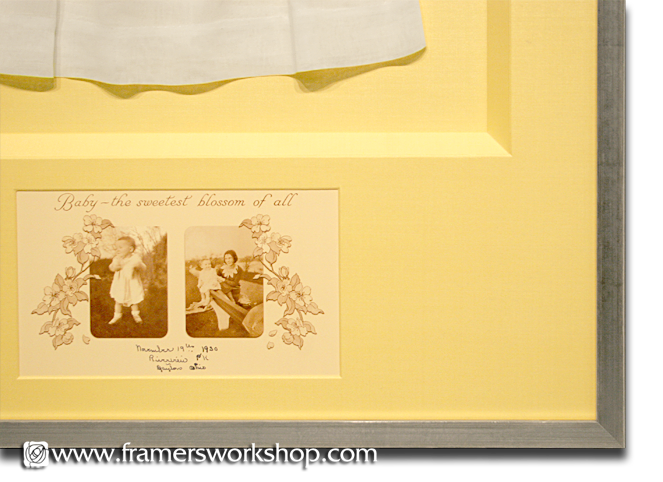 We restored the photos and created the collage by using a digitized version of the original floral border and handwritten signature. The frame is a Larson-Juhl white silver L7 series wood with maple sides. We protected the piece with Tru-Vue® Museum Glass®.